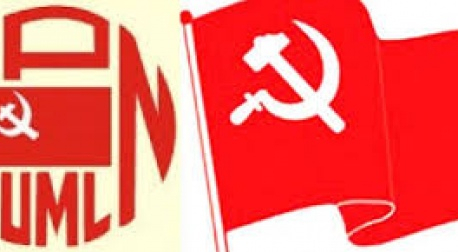 KATHMANDU, Dec 18: Concerned over the overall standing of the party and their portfolio in the merged entity, second-rung leaders of CPN (Maoist Center) have cautioned against rushing for unification with CPN-UML until there is a clear agreement on power sharing. 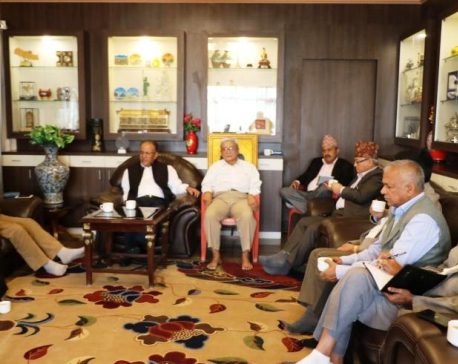 During a meeting of the party's central secretariat held in the capital on Monday, several Maoist Center leaders called on party Chairman Pushpa Kamal Dahal to sort out issues pertaining to party leadership before initiating merger process to avoid possible conflict in the future. They also stressed that a deal on merger should be finalized together with a power sharing deal in the new government. "Majority of leaders expressed their concern over media reports that UML would lead both the government and the unified party. They said that the merger should be a win-win situation for both the parties," said a leader who was present in the meeting. Lack of clarity on their individual portfolio in the new party has made many second-rung leaders apprehensive of the planned merger. Sources said that several powerful leaders including Krishna Bahadur Mahara, Matrika Yadav, Barshaman Pun and Janardan Sharma have been pressing Dahal not to rush to the merger process unless there is a clear assurance that the party would get respectable status in the new party. Little is known about Maoist Center's share in the organization and leadership of the merged entity except that the CPN-UML Chairman KP Sharma Oli and CPN (Maoist Center) Chairman Pushpa Kamal Dahal will alternatively rotate the premiership and party chairmanship. Leaders from both parties have said that Oli and Dahal would lead the government for two-and-a-half years each in line with an agreement reached between the two leaders while forming the alliance for parliamentary and provincial polls. Talking to reporters during an interaction in the capital on Monday, UML Vice Chairman Bhim Rawal also hinted that Oli and Dahal would simultaneously run the party and government based on mutual consent. "We will move forward giving respectable position to both leaders," said Rawal. In addition to that, Maoist Center is also likely to get chance to form provincial government in two of the six provinces where the left alliance has secured landslide victory. Maoist Center has staked its claim on Province 6 and Province 7. Despite dissident views within the party, senior Maoist leaders including Dahal, Ram Bahadur Thapa and Narayan Kaji Shrestha look determined to conclude the merger. Besides Dahal, Thapa and Shrestha appear certain to get key positions in the new party. Maoist Center spokesperson Pampha Bhusal accepted that there were some conflicting views on the merger but clarified that the merger would go as planned. "There are some obvious challenges as we are in process of merging two big parties but we are confident that these minor issues would be addressed. The merger and government formation would go simultaneously," said Bhusal.